I’ve always been a great fan of fairy tales, whether it be in told through books or Disney movies or comics. These stories have always been ubiquitous, inspiring generations of writers time and again. I love a well-done retelling as it refreshes the classic theme to capture a modern audience. However, 2015 is particularly swept up with this fairy tale retelling charm, I can barely keep track of my to-be-read/to-be-watched list. Below is a list of all the books I have read or hope to read, sorted by tales for your perusal! I hope someone else also finds this helpful. Note: I was inspired to make this post after reading Mishma’s post on book trends on Chasing Faerytales. I thought that fairy tales, like other trends, aren’t just a passing phase. They’ve always been around, but it’s our luck that they’re extra prolific on this year’s catalogue of books! EDIT: This turned out a longer post than I anticipated, so I will use my authority as blogmistress to declare this Part One of Many. Featured today are the tales of Snow White, Beauty and the Beast, Red Riding Hood and The Little Mermaid. Art by James Jean, Fables Comic. I’ve always been a little bit creeped out by the tale of Snow White. I blame this primarily on the dwarves in the Disney version. It’s also due to the idea of a prince falling in love with a corpse he sees in the forest. The way the evil queen hounds her in the original version was also dark and twisted – what with poisoned comb and suffocating ribbons. Nameless by Lili St. Crow: An urban fantasy revolving around Cami, the adopted daughter of a mafia lord in a magic-ridden world. Not sure how this is related to Snow White, but it’s been marketed as such. Plus, bonus pretty cover! Fairest by Gail Carson Levine: This Snow White isn’t physically beautiful, it’s her magical voice that captivates the prince and enrages the evil Queen. Fairest & Winter by Marissa Meyer: The Lunar Chronicles series is one big fairy tale story, connecting many beloved princesses. Fairest is a novella that zones in on Queen Levana, whereas we will see Winter feature our dark-skinned Snow White. 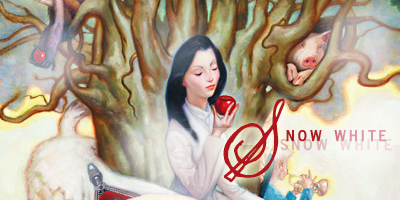 The Sleeper and the Spindle by Neil Gaiman: This one mixes Snow White and Sleeping Beauty. I want it because i) Neil Gaiman! ii) promises of princesses who rescue themselves and iii) the illustrations (by Chris Riddell) that have been floating around the internet are drop dead gorgeous. The Glass Casket by McCormick Templeman: Nag’s End, Rowan’s tranquil village, is thrown into chaos and confusion when five horsemen rides off into the forest and are later found dead. The book has very polarising reviews, but I’m still interested in checking it out as it seems like a creepy, dark fantasy. Six-Gun Snow White by Catherynne Valente: The protagonist is labelled ‘Snow White’ by her stepmother as an insult, she’s half-native American, so her skin will never be the colour of snow. This is a mix between Western + fantasy, I do not like Westerns but I do love Catherynne Valente, so I’m very interested in this title. Mirrored by Alex Flinn: Tbh I was not impressed by Alex Flinn’s take on Beauty & the Beast. Nonetheless, this version of Snow White focus on the protege of the witch – I love baddies as protagonist so I might have to give this a whirl. Boy, Snow, Bird by Helen Oyeyemi: This book is narrated by the stepmother, her stepdaughter, and her biological daughter. It’s set in a world without magic and brings up questions about race and identity using the familiar mirror as a symbol. Again, it has mixed reviews, but it sounds very intriguing! Stitching Snow by R. C. Lewis: Snow White in space, fixing drones in sub-zero temperature. Where do I sign up? Mirror, Mirror by Gregory Macguire: I confess to never having read any of his books, but I thought he should be included as he’s such a prolific writer of these retellings. It appears to be a cross between historical fiction starring the Borgias & Snow White. Snow, Glass, Apple by Neil Gaiman: A fun short story from the stepmother’s POV, with Snow White as a vampire. White as Snow by Tanith Lee: A dark retelling of Snow White, with elements of Demeter & Persephone from beloved Greek myths. Thanks to Glaiza of Paper Wanderer for this recommendation. Beauty and the Beast is always one of my favourites, despite the undertones of Stockholm Syndrome intrinsic to all versions of the tale. I guess it’s because it somewhat precludes instalove, it’s always nice to see people having to work through the initial physical turn-offs and fall in love. Cuddlebuggery’s Kat Kennedy already did a much more thorough spotlight on the different versions of Beauty and the Beast. A Court of Thorns and Roses by Sarah J Maas: Faeries fantasy mixed with elements of Beauty and the Beast, except it’s more Beauty and Beauty? The book had a slow start, but a promising last arc that leaves me wanting seconds. Full review here. Cruel Beauty: A mix of Greek fantasy and fairy tale, this one is next on my TBR! Heart’s Blood by Juliet Marillier: A perfect retelling if there ever was one. I love Juliet Marillier and her brand of retelling unreservedly. Set in 12th century island, it is tale of love and self-discovery. I adored the slow burn romance and our protagonists! East by Edith Pattou: This is actually a retelling of East of the Sun and West of the Moon, but the tale has very similar elements to Beauty and the Beast. Rose is carried away by a large white bear into a castle, I read this many years ago and liked it, but did not find it memorable. Ice by Sarah Beth Durst: Released in the same year as East with very similar premises. Cassie gets taken away by the Polar Ice Bear Kings on her 18th birthday. Again, enjoyable but not memorable. Beastly by Alex Flinn: Beauty and the Beast in the modern NYC, I DNF’d this one, awks. The Princess Curse by Merrie Haskell: This is an MG novel that mixes The Twelve Dancing Princesses and Beauty and the Beast, featuring a heroine who fills the knight-in-shining armour role. I love the Disney version of The Little Mermaid and all of its catchy songs, but it’s the original tale that gets me right in the feels. More than anything, it’s a story of losing your identity for love and the terrible consequences of this obsession. Similarly, most of the retellings centre around these girls and their longing for love. Monstrous Beauty by Elizabeth Fama: The book alternately follows Syrenka, a 17th century mermaid who yearns for a mortal naturalist, and Hester, a modern teenage girl with a family curse. Fathomless by Jackson Pearce: A mortal and an ocean girl vies for the heart of a boy they save from drowning. Mermaid by Carolyn Turgeon: The story switches between a princess desperate to save her kingdom and a mermaid desperate to reunite with her prince. Daughters of the Sea Series by Kathryn Lasky: Each book of the series follows one of three mermaid sisters, who was torn at birth by a storm. Seven Tears into the Sea by Terri Farley: Gender swapped little mermaid utilising the legend of selkies. September Girls by Bennett Maddison: This book is so controversial: is it sexist? Is it progressive? I got scared off by all the heat surrounding it when it was first released, but I am determined to read it one day. 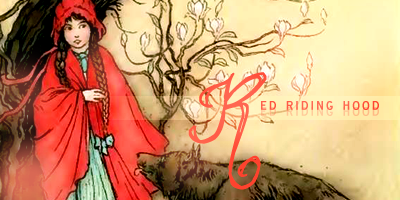 Initiallu an innocuous tale telling kids not to trust strangers, Red Riding Hood is now one of the best vehicle for feminist retellings about girls who save themselves from Big Bad Wolves. Sisters Red by Jackson Pearce: Two sisters: one scarred and bitter, the other beautiful and bright, hunts Lycans. Scarlet by Marissa Meyer: Part II of The Lunar Chronicles series that unites many fairy tale characters. Crimson Bound by Rosamund Hodges: First of all: COVER LOVE! Second of all: despite reading the blurb and reviews I don’t quite know what this is about, aside from that it’s very good. Featuring Rachelle who’s bound to an evil forest. Kin by Lili St Crow: Ruby is betrothed to Conrad, together they will seal their family’s alliance. But something is off about the guy, not to mention there are murders popping up all over the city and she seems to be the next target. Princess of the Silver Wood by Jessica Day George: A cross between Robin Hood and Red Riding Hood, featuring a princess from the Twelve Dancing Princesses. I seriously thought this was going to be a short post lmao… I underestimated how much fairy tale retellings already exist. Second part featuring Sleeping Beauty, Cinderella, The Twelve Dancing Princesses etc. to come! I’m so happy you find it helpful! I didn’t realise how many there were until I started making the list, and I’m sure I’ve missed a whole load inadvertently haha. The TBR pile’s looking mighty high! I need to read Six-Gun Snow White so badly. I also love Heart’s Blood so much. I always mention it when people are thinking of reading Juliet Marillier’s work. *White as Snow by Tanith Lee is also an extraordinary and dark/ macabre retelling of Snow White and the Persephone myth. The writing is amazing. Ahh, you didn’t like Beastly? I HATED BEASTLY WITH THE FIRE OF A THOUSAND BEASTS. hehe. But I love Cruel Beauty so I hope you enjoy that one! It is a hard tale to pull off, I think, because the whole forcing-someone-to-love-them-and-then-having-it-turn-into-love-is-it-real?? thing. But yes, I still kind of like that story. 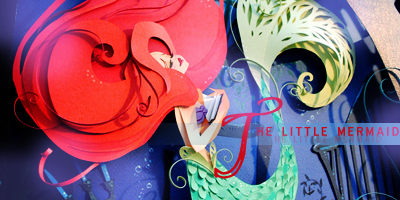 I want to read more Little Mermaid retellings!! I LOVE RETELLINGS. Haha I don’t think there’s a soul on the blogosphere who *ahem* appreciates Beastly, I still wonder how it got a movie deal? I am gorging myself on Pierce Brown’s Red Rising series at the moment, but Cruel Beauty will be next up! I am excited that it gets so many thumbs up. Oh my gosh, this really is a master post! Love it. I’ll definitely be checking some of these out. Hope you’ll find a book you like from this list 😀 Thanks for commenting. Aentee, this is an EXCELLENT post! ♥.♥ I swear you just made my TBR list longer. I can’t find you on GR! I don’t think we are friends yet?! This must be rectified ASAP!!! Yes, immediately! I will give you my Goodreads’ link because I don’t know yours. 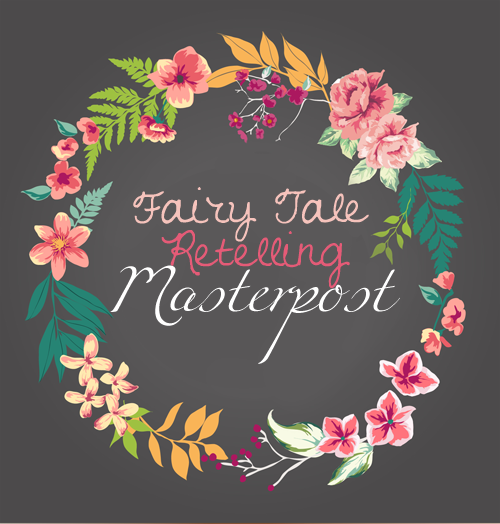 I had no idea lots of the books on here were fairy tale retellings… this is a fantastic resource. I’m particularly excited by the little mermaid section. It’s such a dark fairy tale, and one of my favourites and I don’t think I’ve ever read a retelling of it! I’m definitely going to investigate some of those. The Little Mermaid is inherently so tragic, I hope that the retellings live up to it 🙂 Hope you find something you enjoy! Ouuu I love fairy tale retellings, thanks for the list!! You should definetly do a post on Cinderella, I can think of at least 5 off the top of my head! and omg “I’ve always been a little bit creeped out by the tale of Snow White… It’s also due to the idea of a prince falling in love with a corpse he sees in the forest.” SO ACCURATE like I love Disney but honestly the Snow White movie was pretty creepy and kind of scarred me as a child.. I rewatched the Disney version of Snow White couple of years back and the dwarves still terrifies me haha. I admire how much effort you put into this post. I’m definitely bookmarking this because I realized that I actually don’t read a lot of retellings. I don’t know – I guess fantasy isn’t my thing most of the time. 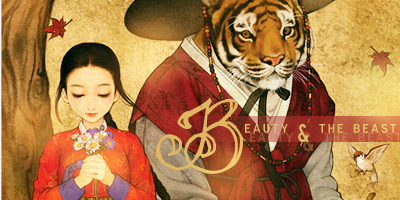 The only retelling I really remember reading this year would be Cruel Beauty – which was so good! Thanks Nova, I hope you find something you like 😀 I have been hearing so many great things about Cruel Beauty! One of my must-reads this month, for sure! Glad it’s of use to you CW ❤ I really need to start reading more from this list myself haha! High-five! Snow White made me think of necrophilia and Beastly felt really awkward to me too. I love a good fairy-tale retelling. Key word: Good. I think this post is going to help me a lot. I know! So many fairy tale retelling either follows the original too closely or is just plain bad. When they get it right though. It is magical! Thanks for commenting and I am glad you find it helpful!